Moscow has developed a plan that will bring an end to the brutal struggle which has cost hundreds of thousands of lives and displaced millions more in Syria; however, the West should ensure that Turkey won't undermine all efforts to resolve the crisis, former chairman of the NATO Military Committee Harald Kujat said. Western countries should have a more objective attitude towards Russia's role in Syria and abandon their prejudices, German General Kujat argued. Like all other parties involved, Russia has its own strategic interests in the region, but it does not mean that the government's northern ally should only be viewed only in a negative light. According to a former NATO representative, Western countries should give up their traditional thinking, according to which every Kremlin decision poses a "terrible threat" to the world. Moscow has a coordinated plan to combat the jihadists, and it is clear that ending the war is impossible without Russia's participation, Kujat stated. "There will be no peace in the region without Russia," the general told Huffington Post. According to Kujat, the successful military campaign in Aleppo is just the beginning. The ultimate goal is to liberate the country from terrorists, which now seems quite realistic. However, some countries which are involved in the conflict will try to prevent the implementation of the plan; Turkey was one of the first among them. 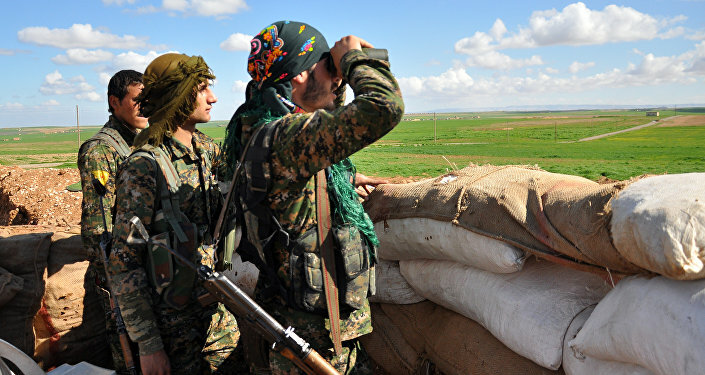 The corridor between Aleppo and Turkey being fought for by Assad's army ultimately runs through areas under the control of the Kurds, who have achieved significant success in the fight against terrorists. However, Turkey is not going to stop with the bombing of these areas and is willing to continue its operation against Kurdish forces, which it views as its worst enemies. In addition, Ankara is planning to send ground troops to Syria than may undermine all efforts to resolve the crisis. "The Turkish intervention has the potential to transform the Syrian conflict into a global catastrophe," Kujat concluded.